Find out more about Tim Cannon. 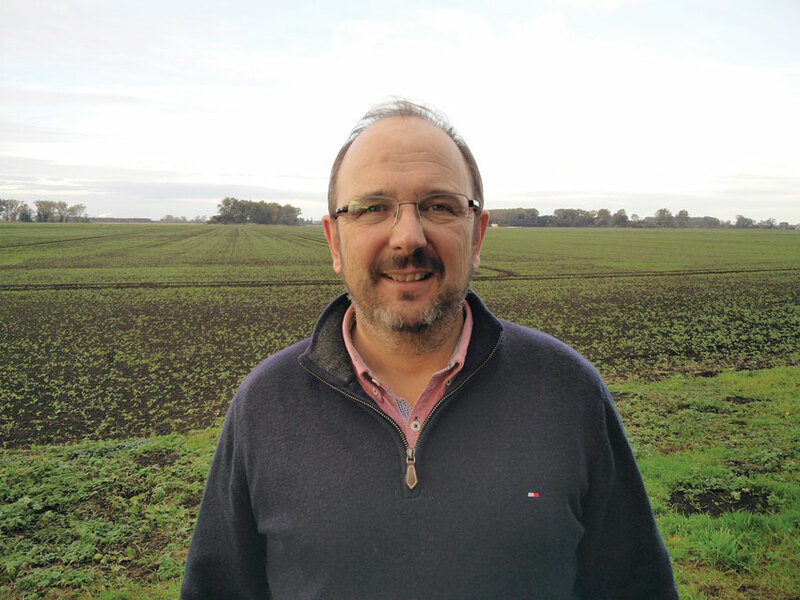 Tim is Harrowden Turf’s newly appointed Production Manager for Feltwell read on to discover what plans he has to help drive the Company forward. Tim Cannon is a relative newcomer to Harrowden Turf Ltd but he’s no stranger to turf growing. Members of the Turfgrass Growers Association (TGA) and indeed many people in the landscape industry will know our Mr Cannon. He’s been producing high quality turfgrass for the UK landscape industry for over 3 decades. An awesome track record. Tim joined Harrowden Turf in December 2015 along with the rest of the team at Spearhead Turf. One year later, and following Colin Brown’s retirement, Tim has been tasked with merging the production and harvesting teams from Spearhead and Q Lawns. One thing that Harrowden Turf Ltd is proud of is the way we try to care for the Environment. Tim is working on some improvements in this department too. Another of Tim’s changes is to the fertiliser regime. Plants need food, there’s no denying that. But when applied wrongly, plant food can actually damage the environment by leaching into waterways and upsetting the ecological balance. Going forward, Harrowden will be switching to a newly developed form of fertiliser which keeps nutrients in the soil until the plants are ready to use them. This promises to be more efficient and more environmentally friendly. Not least because the fertiliser crystals are actually created using waste water from urban areas. Farm Manager Paul Addison will of course be continuing the conservation and environmental work on and around the Feltwell turf production unit. And we look forward to sharing those developments with you too. With the successful merger of two production and harvesting teams and much closer relationships between the Feltwell and Southport units, Harrowden Turf Ltd is now visibly operating as a single organisation with satellite units in the East and the Northwest of the country.